The initial recount process has found a major error in one county where thousands of ballots were not computer entered. The recheck has given Judge Prosser a seemingly insurmountable advantage and he should be considered victorious-along with Governor Walker and Sarah Palin. Palin, alone amongst the high profile 2012 possible candidates had the guts to endorse Judge Prosser, once again putting her principles above any personal election considerations-and she has added yet another endorsement victory to her substantial total. The Judicial election in Wisconsin which pitted incumbent Judge David Prosser against challenger Joanne Kloppenburg was touted as a “Referendum on the Governor”. The New York Times called it a battle by proxy with the unions, who spent a substantial amount of money in this “judge by proxy” campaign, taking on Governor Walker. With the Wisconsin Supreme Court’s bench seemingly 4-3 tilted towards Walker, the unions and Democratic Party saw backing Kloppenburg, viewed as more amenable to their cause, as a possible way of changing the balance on the court in their favor. This, should Walker’s collective bargaining bill reach the court for a final decision on its legality. The election has taken a far more important role in the mind of the public for a whole host of reasons. 2.It is a vote in proxy on the actions of the Democratic Party politicians who fled the state rather than undergo the normal democratic process when the bill came up for voting on. 3.It is a referendum on the swing to the GOP last November,which was itself a referendum on the Obama administrations policies. Even Reuters, which has taken a decidedly anti-Palin tack, agreed a loss for Kloppenburg would look bad for the Dem’s “A Prosser victory would be a setback for Democrats, who channeled their anger about the union restrictions into the Supreme Court election campaign as a proxy vote on Walker’s policies.” However even the apparent tie is a loss given the resources thrown at the election. 4.It is a referendum on the unions-whether union bullying tactics can still carry weight in the minds of the voters, in a different era from when the unions had clout and public sympathy, and were seen as acting for all workers, not just the self-interest of some. 5.It is a referendum on Sarah Palin who, alone of the major possible contenders, endorsed Judge Prosser and did, as she always does, spoke out fearlessly and strongly for what she believes in, no matter what the potential cost to her chances of high office. 6. 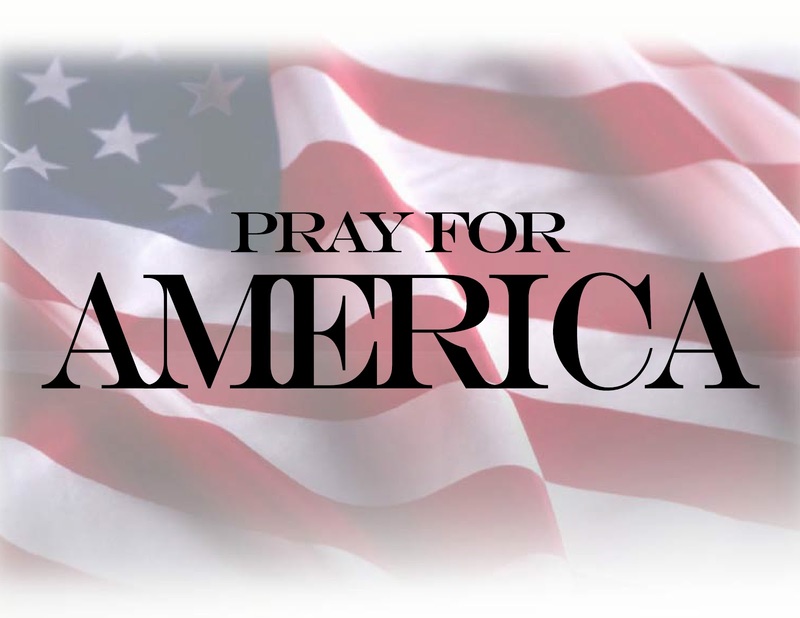 It is a trial run by proxy of Obama versus Palin 2012 in a traditionally liberal state which if “Palin” wins would have serious implications for the Republican nomination process. The votes are in (subject to Democratic Party shenanigans in a further recount of course) and, on the night, in all these six significant points, the forces that were unleashed or ratified last November have had their power reinforced and clarified. Despite all the money and supposed foot soldiers the unions, supported by activists and the liberal media, could bring to bear, even if an honest recount goes against Prosser the close fight in this liberal state bodes well for 2012. For ten years, The Candie’s Foundation has been working to prevent teen pregnancy by producing and funding celebrity-driven print, television, radio and online public service announcements. Ms. Palin was compensated for her work with the foundation, which included appearing in video and print PSAs, two town hall meetings, and numerous media interviews. The message of the foundation about teen pregnancy prevention has generated more than ONE BILLION media impressions – tremendous reach for any teen pregnancy prevention campaign. We know that Ms. Palin’s work has had a positive effect on teens. In a recent independent national survey of 1,000 teens that compared a Bristol Palin PSA with those of another national teen pregnancy organization that use non-famous teens, more than twice as many teens (57% vs. 27%) said Bristol’s PSA “got my attention”, three times as many (41% vs. 11%) said it was “powerful”, and more than twice as many (38% vs. 16%) said it was “memorable”. Bristol Palin is one of dozens of celebrities who has worked with the foundation. She has been a courageous and powerful partner to the foundation as we attempt to discourage teen pregnancy. Curious, is it not, how the left loses its mud because a non-profit organization, which depends on donations freely given, paid Bristol Palin in six figures. Yet these same leftists think it’s all right that millions of dollars of taxpayer money is being used to kill innocent infants in the womb. That’s what passes for morality on the left these days. Commenting on the Wisconsin judicial election at,seemingly fittingly ‘Commentary’, John Podhoretz makes some of the same points I did regarding the outcome. We both saw one of the most important factors in the basically tied result (as of this writing-there are reports of found ballots and possible illegal actions) was the fact that the unions,the Dem’s and the media had thrown everything they had at the election and still did not make a significant breakthrough voting wise. The polls the media had trotted out purported to show that the Wisconsin public backed the unions case by 55% to 40%. The media breathlessly reported that public demonstrations-numbering over 100,000 were the greatest in the history of Wisconsin and more money, and doubtless union foot soldiers were brought to bear than in any other judicial election in history. And yet with all that effort the union/Dem’s/media backed candidate could only,on the night,end up with a 204 vote winning margin which might still be turned around with a recount. Unquestionably the union candidate did much better than would have normally been the case but this was no normal case of course. What needfs to be taken into consideration are the historical voting factors. As Stacy McCain at “The Other McCain” points out Governor Walker won in 2010 with 52% of the vote, compared to Prosser’s just under 50% thus “400,000 who voted for Walker stayed home this time.” If we take that 50% as the new base level in Wisconsin for the GOP then the state is very much in play on the presidential level in 2012-which has important implications on a number of levels. Rather than, as Podhoretz states, “the parties are at parity” if we extrapolate the 50%-52% from the 2010/11 results as being where the Republicans in Wisconsin are now at that is a remarkable turnaround from the 2008 results state wide. Obama carried Wisconsin by 56% to 43% but just two years later Walker turned that sort of deficit into a winning margin. 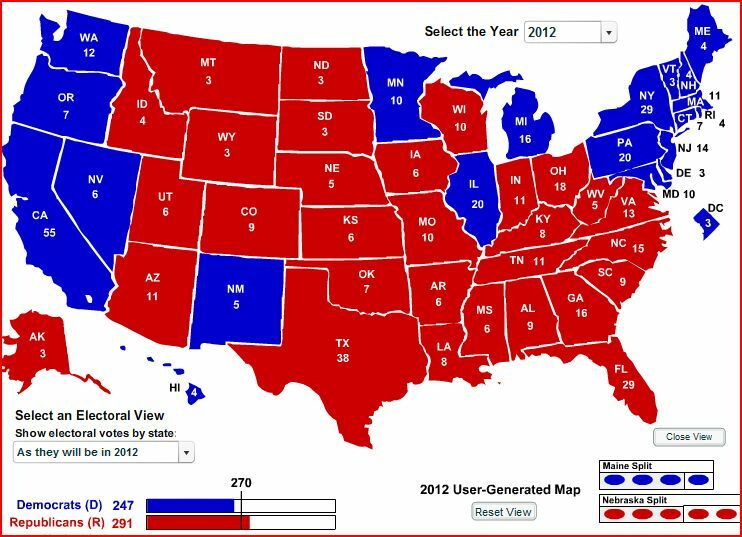 If this holds true for 2012 then an electoral map like the one below becomes a strong possibility. The other factor of major significance is that the possibility (as Josh Painter advises) of Wisconsin congressman Paul Ryan being the vice-presidential candidate. This is a role he has not denied he might undertake, with for example Sarah Palin (Palin has praised his economic proposals strongly on a a number of occasions) and it would presumably, put Wisconsin further into play. If Wisconsin if in fact a winnable state after having been lost by 13 points to Obama then the parties are most certainly not at parity.